instructions on how to fix the stone in place. 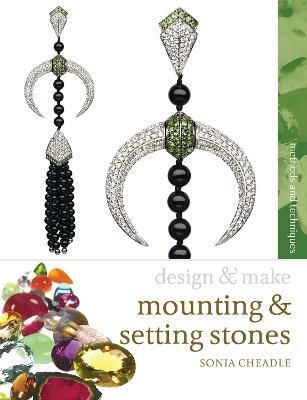 Buy Mounting and Setting Stones by Sonia Cheadle from Australia's Online Independent Bookstore, Boomerang Books. Award-winning designer Sonia Cheadle specialises in contemporary diamond jewellery and runs a small private school in Clerkenwell. Her work can be seen exhibited at various events including Goldsmiths Fair and Origin. Her latest collections can be viewed at www.soniacheadle.com.